ISPO Munich, the world’s largest trade fair for sporting goods,had a successful attendance total of about 80,000 visitors. Even though the winter weather made it difficult for some visitors to attend the fair, it also brightened spirits in the 18 halls of Messe München. In addition to innovations in the areas of winter sports, outdoor and fitness, the industry learned how to remain attractive to consumers of the future. The issues of sustainability, digitalization and, for the first time, eSports played a major role. Talks and games were broadcast from the new eSports arena on the fair’s own Twitch channel. More than 300,000 viewers over the past three days clearly demonstrated the range of eSport. This creates a tremendous opportunity for the entire sports industry, particularly in terms of reaching young target groups. Digitalization plays a key role here. According to Herzog, new platforms such as ISPO Digitize are the ideal complement. Since its premiere a year ago, ISPO Digitize has become the place to go for manufacturers and retailers of sporting goods who want to learn about digital products and services—and, above all, visualize the potential of digitalization. The next ISPO Digitize Summit will be held on July 3 and 4, 2019, in Munich. 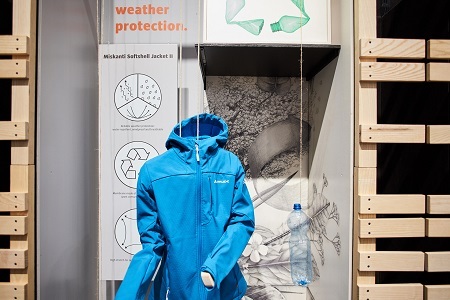 Consumers are also increasingly demanding that products be made in an environmentally conscious manner and be recyclable. 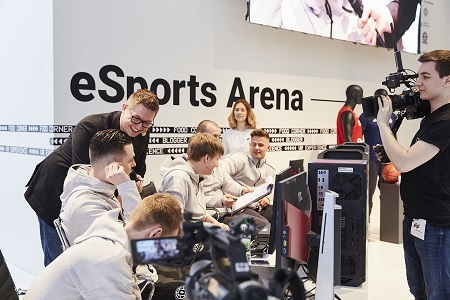 For sports fans beyond the exhibition halls, the ISPO Munich Sports Week took place for the second time: a joint initiative with sporting goods retailers, fitness partners and brands that is designed to fuel Munich’s passion for sports with a large number of activities. More than 170 events provide a week’s worth of athletic excitement and fun for consumers. The highlight was the ISPO Munich Night Run presented by BUFF on February 2, an event that drew a record number of about 650 participants. The ISPO Munich Sports Week will continue through February 9. A total of 2,943 exhibitors showcased their products and innovations. This represents an increase of five per cent over the previous year. The share of international exhibitors also set a record at 89 per cent (2018: 88 percent). The largest participant groups by country were Germany, China, France, Great Britain, Italy, Taiwan and the United States. The next ISPO Munich will be held from January 26-29, 2020, in Munich.